A creekside enclave in Sacramento: Hidden Creek Apartments offers comfort, beauty and convenience. And, we're a no-smoking community. At Hidden Creek, our apartment homes are unusually large and offer all the luxuries of a comfortable home: spacious floorplans with walk-in closets, central heat and air conditioning and modern all-electric kitchens with two walk-in pantries for storage. Our serene, wooded community is conveniently located near schools, parks, shopping, and transportation. The location affords the best of all worlds: the beauty of creekside living and the convenience of the City with shopping within walking distance and I-80 just 5 minutes away. Plenty of room to have company! Modern appliances and a walk-in pantry. A large living room and loads of storage space with walk-in pantry #2! Room to rest and relax after a long day. We have enjoyed living at Hidden Creek Apartments over the last 1½ years. Our spacious large apartment with plenty of storage was great and we had good neighbors too. We appreciated that any time we needed maintenance Patti (Manager) took care of it right away. Thank you! U would like to say that living here has been magical. The staff and residents look out for you and love you.. I never want to move. Patty was very informative and thorough, this was awesome because it was clear she is passionate about where future residents will reside and it proves that she cares about peoples best interests. Patty has been great with communication, offering her help, and overall making us feel at home. I highly recommend living here, the staff and neighbors are awesome! Hidden Creek is a great place to live, and the management really cares about the tenants and the property. There have been lots of upgrades to the property and staff is responsive to your needs, including maintenance. The rents are very competitive and you can even pay online. I highly recommend you check the property out if you looking for a new place. Ive lived here for almost a year and i have to say im so happy to be in a place where its quiet, friendly and clean. Ive searched for awhile for a safe place for me and my little boy and when I called Hidden Creek I spoke with Patti. She will always make sure that the tenants and the apartments are well taken care of. If there is an issue-maintenance is able to handle it right away. 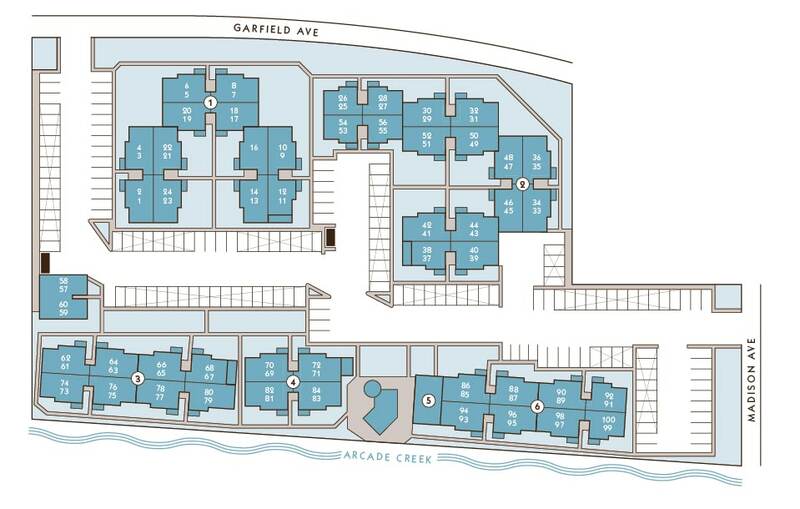 The floor plan is cute, there’s a fitness room and security comes every night and the complex is gated. Its exactly what I need and its a safe area for me and my son. Lived here for about 6 months while we waited for our new home to be built. Patty is super friendly and professional, complex is always kept to high standards/clean and any time we needed something fix it would be done in a timely manner. We’ve lived here a few years now and have had no problems. The management is very friendly and whenever we have a maintenance issue it is fixed asap. They care about keeping the complex clean and the gates are always secure at night. I would highly recommend. My mother and I moved here about three and a half years ago. I am pleased to say we have been happy here. Management and staff are excellent. Maintenance requests are done within twenty four hours. Grounds and laundry rooms are so clean and well kept. Management is always friendly and takes care of business. Thank you for a clean and quiet community. I have lived here for a year and a half and have had great experiences so far. The staff is polite, I feel safe, and my daughter enjoys all the creekside has to offer. Come experience creekside living at Hidden Creek Apartments in Sacramento. Our convenient location offers the serenity of the country and the convenience of the City. We are a no-smoking community. Call or stop by to schedule a tour and see for yourself.